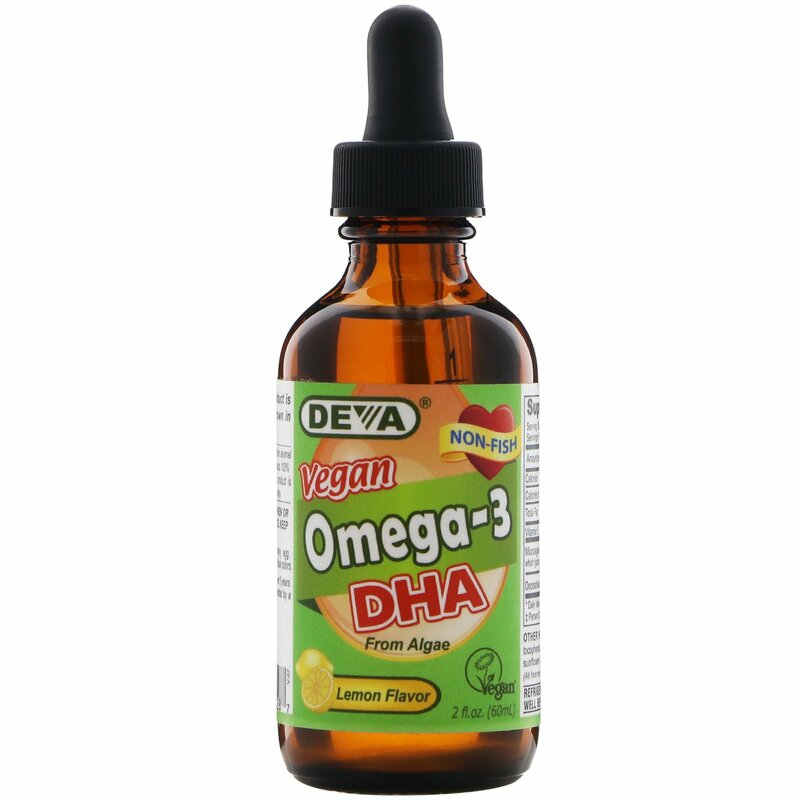 The DHA oil used in this product is derived from microalgae grown in USA outside of the ocean. Adults 14 drops; children over 2 years of age 7 drops daily with food, or as directed by a health care provider. 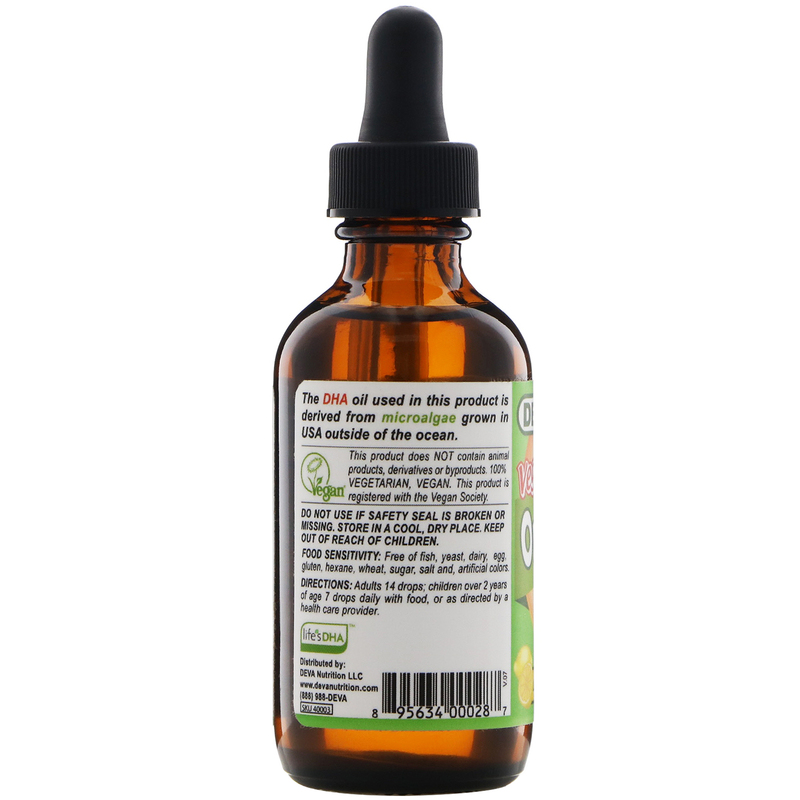 Sunflower oil, mixed tocopherols, lemon oil, stevia, ascorbyl palmitate, sunflower lecithin, rosemary extract, citric acid. (all from non-animal sources). Food sensitivity: Free of fish, yeast, dairy, egg, gluten, hexane, wheat, sugar, salt and, artificial colors. Do not use if safety seal is broken or missing. Store in a cool, dry place. Keep out of reach of children. •DV for ages between 2 & 4.